I am such a clean freak. Since I became an instant “mom” ten years ago, I want to be in control at all times—I make sure that my family brings not just wet wipes, ethyl alcohol spray and antibacterial hand sanitizer for instant germ protection each time we go out. I’m sure most Mommies out there could relate with my being OC (read: obsessive compulsive) when it comes to cleanliness. However, there had been disadvantages—some products could make our hands dry and rough. I’ve always been in search for a product that fits us to a T. We needed something that should be gentle on our hands yet tough on germs. 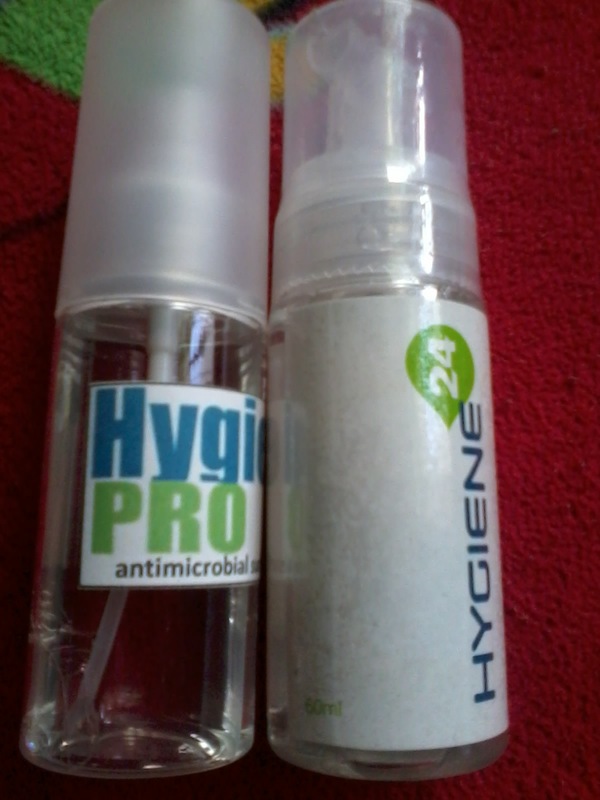 Good thing, I recently discovered HYGIENE PRO by HYGIENE SCIENCE. 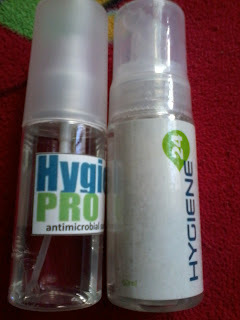 So what does Hygiene 24 hand shield had that others does not have? For one, it comes in a self-pumped pet bottle and is foamy. Other popular alcohol-based hand sanitizers kill germs only while wet. Once dry, you’re immediately susceptible to recontamination. Hygiene 24 is a broad-spectrum anti-microbial hand shield that kills germs and protects all day with just a single application. Laboratory tests had shown that Hygiene 24 formula kills and protects against bacteria, viruses, fungi, molds, algae and protozoa. It is non-drying as it coats the skin and nails with protective and invisible shield. Based on research, it protects from germs for up to 10 hand washings with soap and water without reapplication. 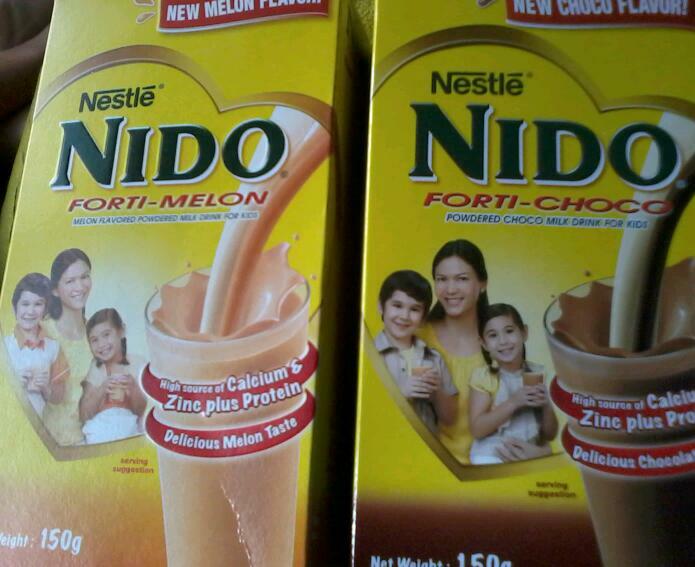 But what I love most is that it had a soothing feel, prevents skin drying and is safe for kids, pets and plants. How’s that for a product? 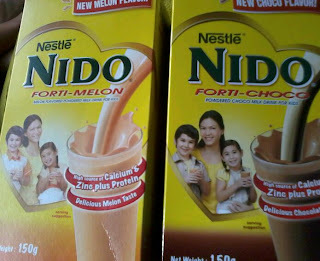 It is indeed every Mom’s best friend. I was able to try it and I’d have to say, it’s really good. It does not have the sticky after feel that one would usually get after applying an ordinary hand sanitizer. It does not make our hands dry too. The scent is just light, somewhat lemon scented. And since it’s foamy, spilling will not be a problem. HYGIENE PRO Antimicrobial Surface Coating protects your home, office, clinic and whatever area while saving on disinfectant cost. It’s so simple to use, just wipe over and spray on surfaces and let dry. It’s perfect for bloggers like me—I could use it on my keyboard, cellphone, tables, faucets, monitor, toilets, kitchens, bags, shoes, carpets, drapes, aircon, undies and scrub suits, furniture, play area and even on our kids’ toys. No worries though because it is food safe, non-corrosive, adheres to almost all surfaces, non toxic to humans and animals and non carcinogenic. Environmentalists will also be glad to know that it is environmentally stable. The solution prevents cross contamination, kills bacteria, viruses, molds, algae, fungi and protozoa for weeks even with a single application. Both Hygiene Science products mentioned also kills MRSA, VRE, E. coli, strep, enterovirus, H1N1 etc. for 24 hours with a single application. Indeed, these products are amazing breakthrough that we Mommies need to protect our families from germs, bacterias and viruses. These will surely give all Mommies peace of mind, knowing fully well that we’ve got our family covered as they use these breakthrough products. For more information on Hygiene Science and their products, email info@hsi.com.ph or call them at (02) 836-5868 or 836-5885. 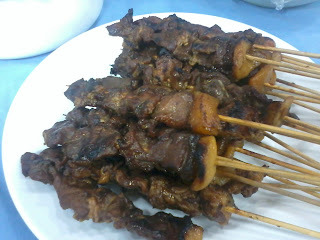 You can also visit their website at www.hsi.com.ph. Purple Plum Fairy thanks Mr. Azrael Colladilla, Mr. Dino Gil and Hygiene Science. Call it Serendipity. Call it any other way you want it. But for someone like Zendee Rose Tenerefe--everything just seemed to have fallen into their right places at the right time. Better known as the "Random Girl" , "Mystery Karaoke Girl", "Viral Diva" and "Supermarket Superstar", she was the girl who was captured on video by a passerby (Yuan Juan or youngjay0918 who happened to be a video blogger) while singing Jennifer Holiday's "And I Am Telling You"--at a videoke display stand in a supermarket. That video, posted on July 28, 2012 on YouTube, which quickly went viral, granering over 2 million hits, 14,063 likes and more than 5,000 comments. If you guys live in the boondocks, here's Zendee's video: This video was taken from YouTube. 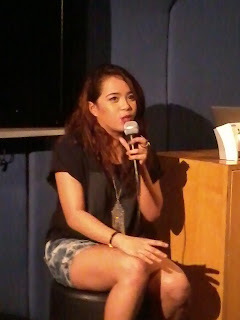 Zendee Rose Tenerefe soon became popular and this video brought the attention of Warner Music Philippines to sign her up as one of their recording artists. She also gained more popularity by guesting on The Ellen DeGeneres Show--exactly a month after that video was uploaded. During the show, DeGeneres gifted Zendee an iPad 3. 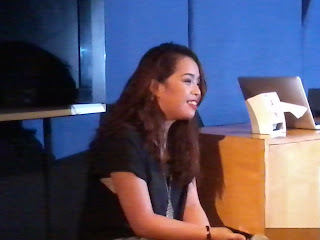 Zendee is now officially a recording artist as she releases her very first single “Runaway” under Warner music Philippines. The song showcases Zendee’s powerful and soulful voice as it shows some vocal gymnastics with a twist, clearly showing Zendee’s singing prowess that will surely be loved by her fans. Runaway is about not allowing difficulties to get in the way of your dreams, just like Zendee did. The song was written by Andrew Fromm, who has also written for the likes of The Backstreet Boys, Nync, and JoJo. 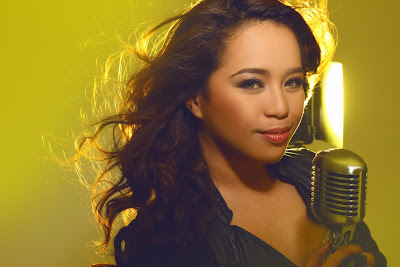 With such fantastic voice, Fromm wishes that the song will be bringing more recognition for Zendee’s world class talent. Zendee's such a natural girl with extraordinary talent. Watch this video and see for yourself how this provincial lass aspired for her dreams and finally nailed it. 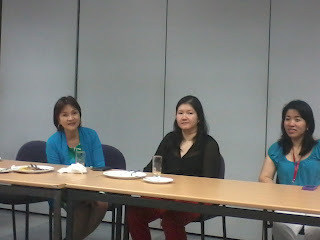 Zendee honestly answers questions from the media people during the launch. Runaway will also mark as the first local recording to be mastered for iTunes for the Philippines by Warner Music Philippines and Asia Pacific. It only meant that the recording is mastered and optimized for increased audio quality in digital format. “I am super excited to hear my single being played on the airwaves. I am also pretty excited for my very first album set to release soon, probably by February next year. My dream is to have a concert of my own where fans and supporters will be able to sing along with me as I sing my songs,” says Zendee. You can preview and download Zendee’s Runaway single on iTunes and catch more of her on her social media sites. Purple Plum Fairy thanks Ms. Nana Nadal and Warner Music Philippines for the opportunity to meet Ms. Zendee. Two years after making the monumental success of the joint movie venture of Agimat and Enteng Kabisote in 2010, Vic Sotto and Ramon “Bong” Revilla, Jr.—two of the Metro Manila Film Festival giant forces—once again join their stellar forces as they come up with another movie sequel and added up another equally bankable actress in the person of Ms. Judy Ann Santos in Si Agimat, Si Enteng Kabisote at Si Ako for this year’s MMFF 2012. Produced jointly by Imus Productions, M-Zet, APT Entertainment OctoArts Films, and GMA Films, “Si Agimat, Si Enteng Kabisote at Si Ako is nonetheless predicted to make it at the tills, not just to bring in good cheer to the holiday season and festivities but also to teach families traditional values to love and cherish their family and protect the environment as the movie brings fun and magical fantasy when it starts to be shown on Christmas Day, December 25. Directed by Tony Y. Reyes (who helmed the rest of the Okay ka Fairy Ko and Enteng Kabisote series in the past), Si Agimat, Si Enteng Kabisote at Si Ako is one big-budgeted film with not just one but three box-office giants in the movie industry. It also used dedicated sound stages, CGI effects and with five production companies backing this project, everyone predicts it as a runaway winner. “Two years ago, after our first team-up with Mr. Bong Revilla, we sort of had a gentleman’s agreement that we make another film soon as a follow-up. There was a point in the story that needs to finish and this is exactly where the story of Si Agimat, Si Enteng Kabisote at Si Ako starts. 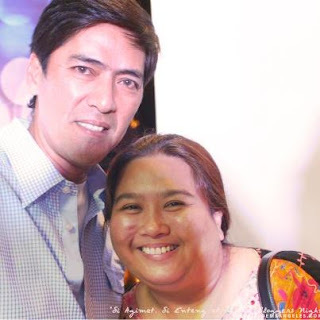 It picks up where the last film we had left off,” shares Mr. Vic Sotto, during the Bloggers Night for this film held recently at Annabel’s Restaurant in Tomas Morato, Quezon City. The film will still have the support of Eat Bulaga’s beloved comedy duo Wally Bayola and Jose Manalo with Sam Pinto, Gwen Zamora, Aiza Seguerra, John Lapus, Jolo Revilla, Oyo Boy Sotto, Ruby Rodriguez, Barbie Forteza, Alden Richards, Amy Perez, Yassi Pressman, Anton Revilla and child stars Jillian Ward and Eat Bulaga’s newest Cha-cha darling Ryzza Mae Dizon. As with the past Enteng movies, Sotto said that Filipino audience would still be delighted to know that the film was made with kids in mind—so it tells the value of family, marriage, friendship, responsibility, love, respect, and forgiveness as it tackles more relevant issues such as environment protection. It had everything in one gigantic film—drama, action, magic, visual effects, production design, cinematography (which shows the beauty of Northern Ilocos such as the famous Sand Dunes) and unlimited fun and laughter while instilling moral values. 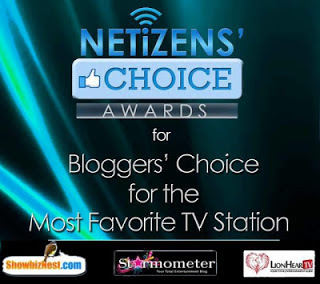 Indeed, it’s one entertainment Filipinos should not miss! 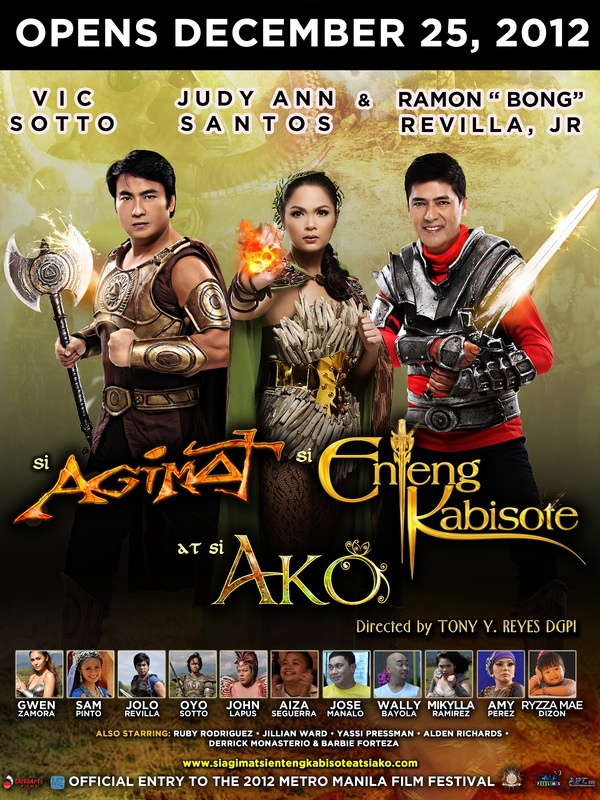 Si Agimat, si Enteng Kabisote at si Ako will be shown in local theaters nationwide beginning December 25. Purple Plum Fairy thanks Ms. Melai Entuna, Mr. Azrael Coladilla and Ms. Dems Angeles for my photo with Vic Sotto. 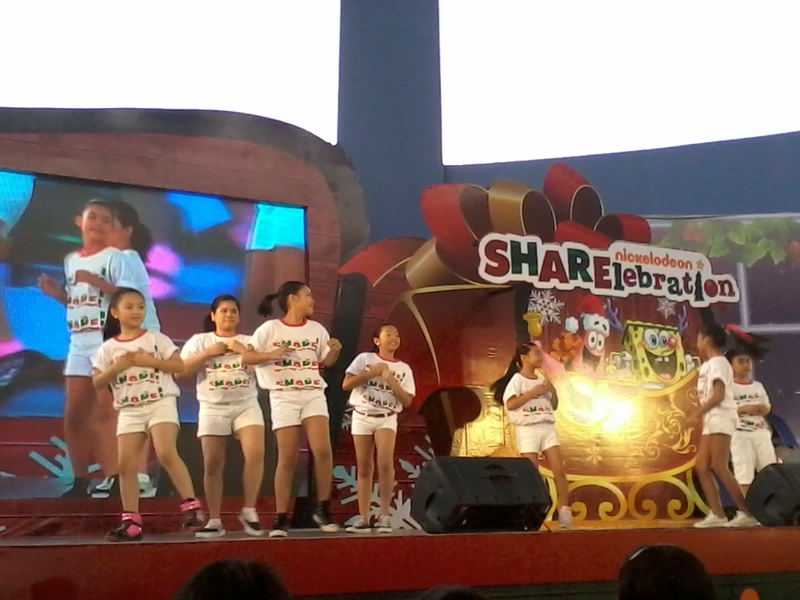 Nicksters and loyal fans of Nickeleodeon all trouped to the SM Mall of Asia Music Hall last December 16 to spread the holiday cheer for the kids of Gawad Kalinga at the recent SHARElebration event. Nickelodeon friends came in and brought in toys, clothes, books and money for donations. 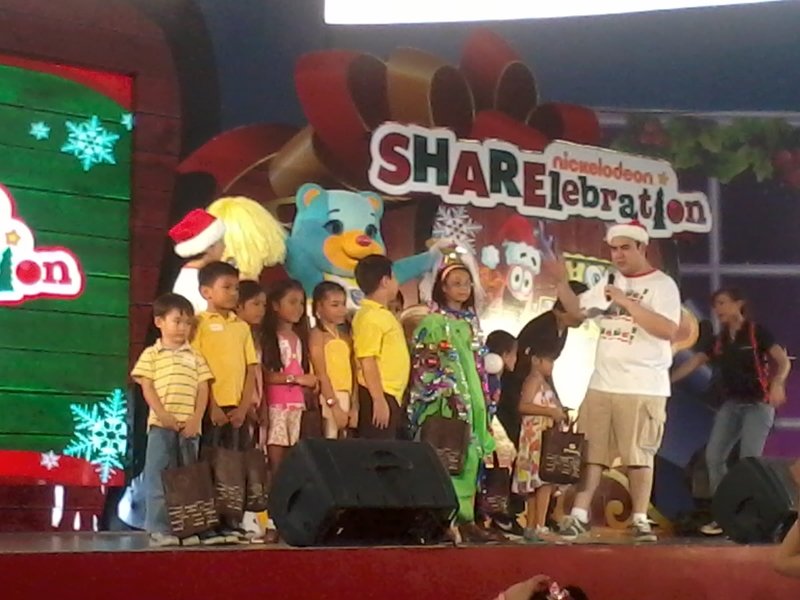 “Through SHARElebration, kids were able to take part in more than just merrymaking as the event gave them an opportunity to learn the value of sharing, and encouraged them to be good examples that other kids can follow,” says Nickelodeon Philippines Marketing and Communications Manager, Carla de Castro. There were loads of game booths, play area, freebies and on-stage games during the event that kids and those kids-at-heart truly enjoyed. There were entertainment and fun prizes while the kids were also delighted to see their favorite Nickelodeon characters Dora the Explorer, Diego and Kai-Lan—as they made special appearances and danced onstage. Two cancer-stricken kids got their wishes come true with MAKE-AWISH FOUNDATION. My Kyle loved attending Nickelodeon events because he says he’s able to meet new friends while having fun. 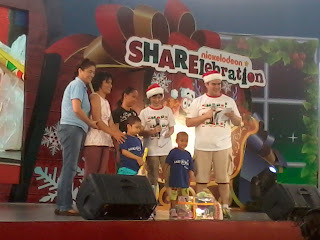 And this SHARElebration was even better because he knew he’s able to make other kids happy in his own little way. Toys of all shapes, sizes and colors poured in as Nicksters shared their blessings to less fortunate kids from Gawad Kalinga in Imus, Cavite. 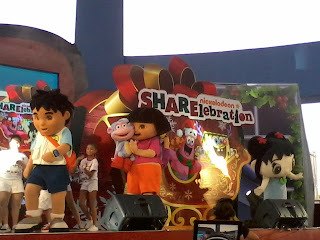 During the said event, two brave cancer victim kids’ wishes were able to realize as MAKE-A-WISH FOUNDATION through the help of Nickelodeon Philippines fulfilled their wishes by gifting both girls with Dora The Explorer toys. Mr. Potato Head and Ms. Play Doughtub graced the show. Sharelebration dancers performed before the audience. Awesome games onstage with host Robby. Acrobatics performed onstage to the audience delight! We were able to go home tired from the long journey we had in going to SM Mall of Asia, but it was all worth it. Kyle, though only 10-years-old knew that sharing his blessings was not beyond his means after all. In fact, he’s eager to collect more toys and books for future SHARElebration events. “If I’d get rich, I’d surely donate more,” says my beloved Kyle. As his guardian, there’s nothing like seeing kids like him with such genuine glow on their faces…like some sense of awe. It only meant one thing—that he had felt how good it was to help others. 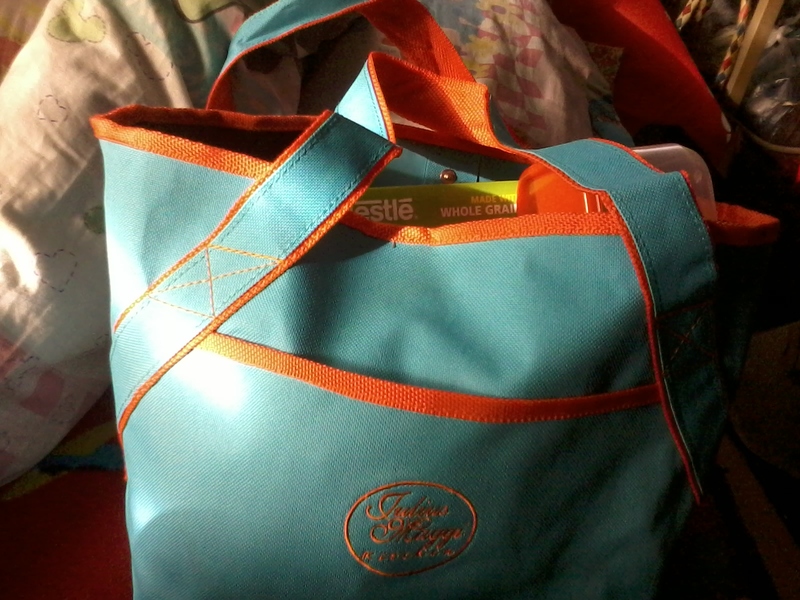 And to me, being happy inside is not something that you can’t just buy elsewhere. It is what Christmas is all about—feeling the true meaning of the season deep within your hearts. 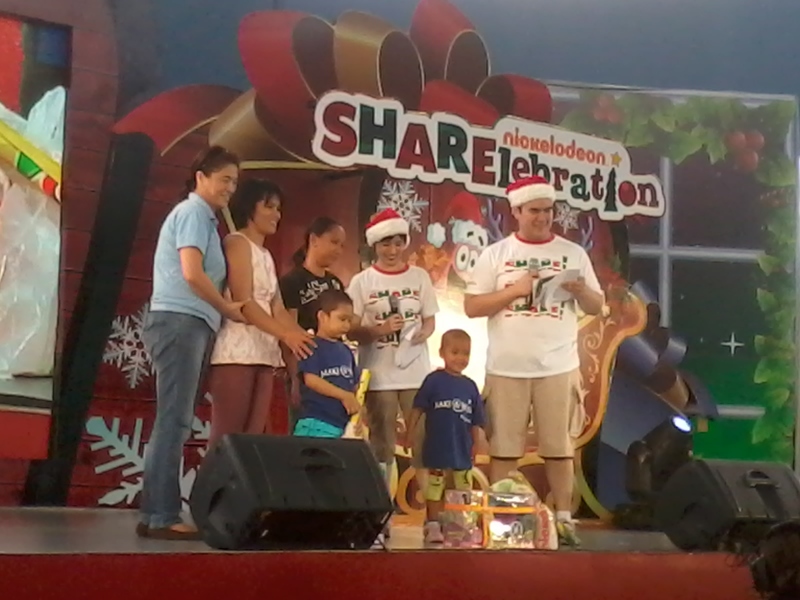 Indeed, Nickelodeon’s SHARElebration is one fun-filled event kids shouldn’t miss—as it teaches kids to share whatever blessings they may have while having fun—all in the spirit of giving and the holiday season! You too can volunteer next year and experience Christmas like no other! For more information, log on to www.nick-asia.com/sharelebration or www.facebook.com/nickasia. 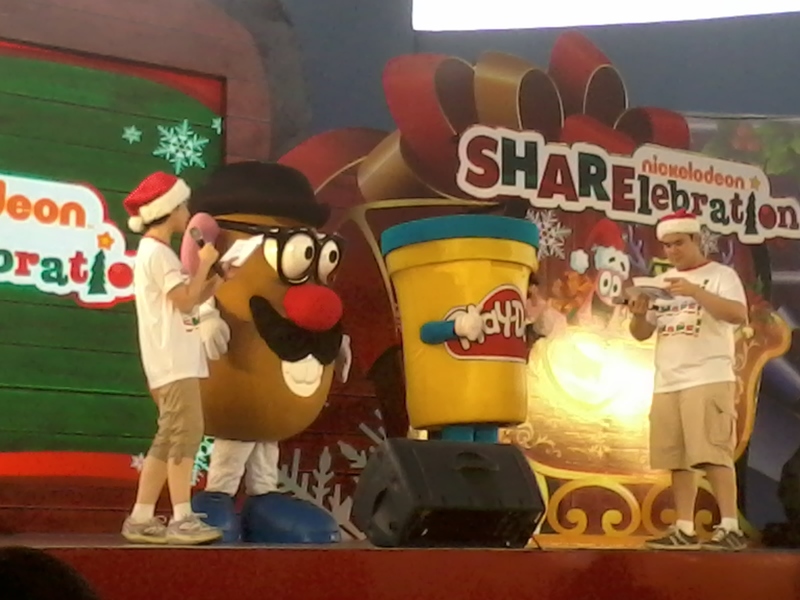 Nickelodeon’s SHARElebration was presented by Alaska Choco, and co-sponsored by Goldilocks Bakeshop, Hasbro, Krim Sticks, Selecta Ice cream, Shell, Sunkist and Super Stix. Purple Plum Fairy thanks Stratworks, Nickelodeon and Ms. Ginny for the invite. 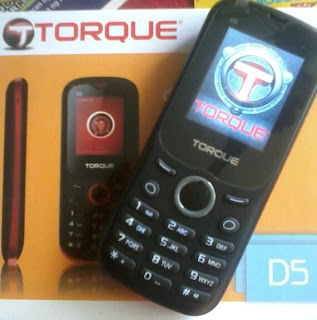 Philippine brand TORQUE continues to level up the mobile phone scene for Filipino users with its new TORQUE MEDIA Technology. 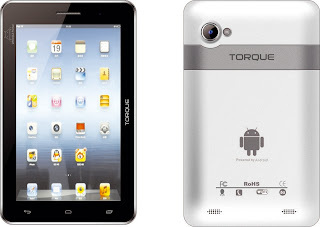 A brand known for coming up with affordable “Music-all-you-can, movies-all-you-can mobile features, TORQUE mobile phones have expandable external memory up to 32 GB. Each phone also comes with a 3.5 mm Headset jack for audiophiles to enjoy the best sound quality. What sets Torque mobile phones apart is the customization. End users can personalize their SIM names (since it is a dual SIM, it can be confusing to just see SIM1 or SIM2) set to each operator names. 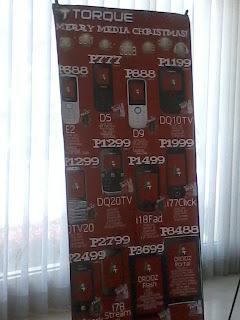 TORQUE’s amazing line mobile units: D5, D9, DQ10 TV, DTV20, i18 Fad, 177 Click, and Droidz Flash. 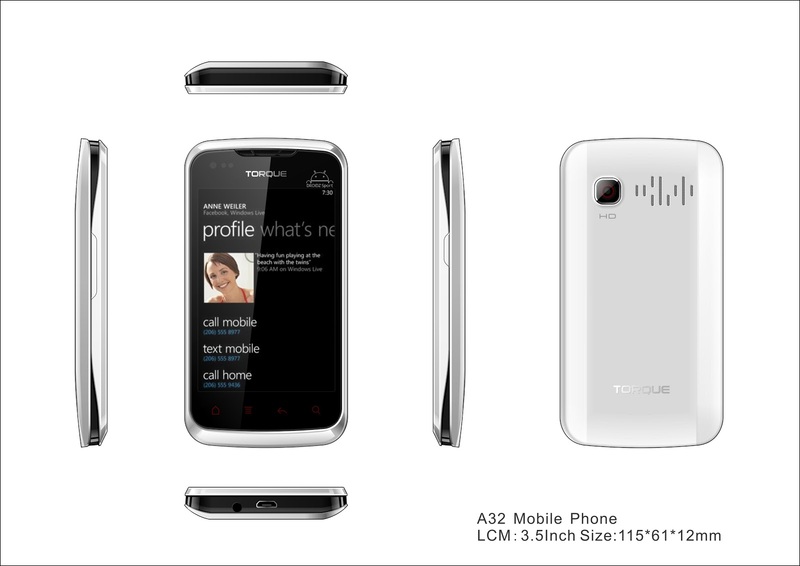 All products mentioned (except for Droidz Flash) are with dual SIM capability with features that all consumers will surely enjoy and sold at very affordable prices. They have FM radio capability, camera with video recorder, multimedia player and an expandable memory up to 32GB and 3.5 mm headset. 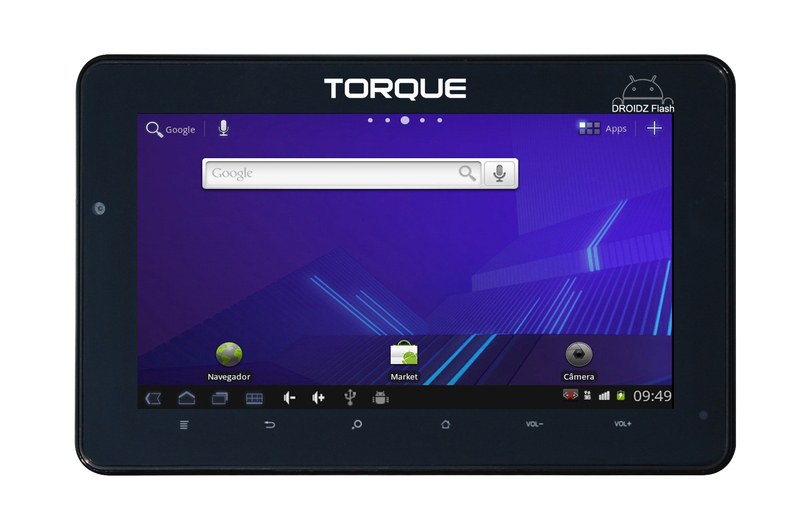 TORQUE’s Droidz Flash has a 7.0” WVGA 800x480 Capacitive Touchscreen, multi-touch zoom, slim form, 3-Axis Gyro/Accelerometer with an Android 4.0 Ice Cream Sandwich Operating System for a refined interface and easy access thus making it more engaging and interesting. Running at 1.2 GHz CPU with 4GB ROM and 512 RAM, Droidz Flash is such an eye candy but it does have its own functions, power and connectivity. Equipped with dual cameras with 2-megapixel rear camera and VGA camera upfront. It has Micro-SD slot, 3.5 mm Stereo Headset and full-HD 1080p video for a complete movie experience. WiFi ready or 3G USB stick that allows you to be connected anytime and anywhere. 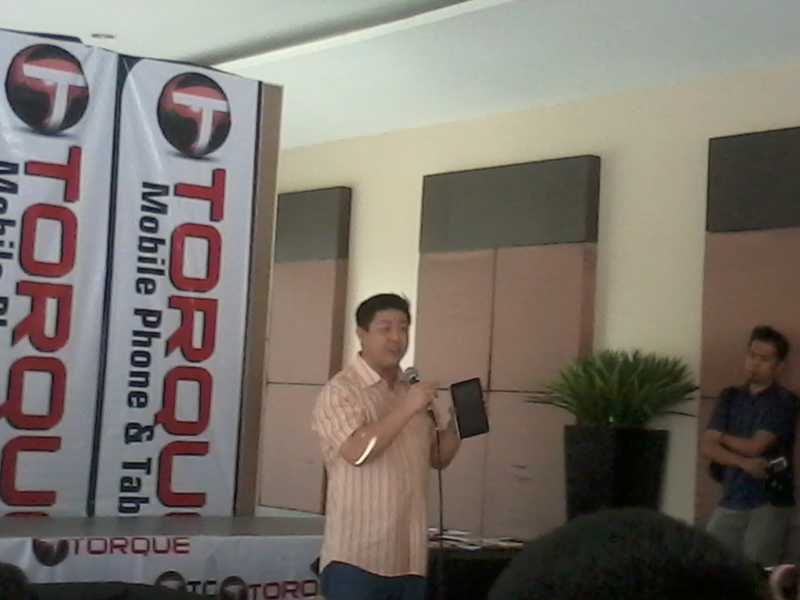 During the recent TORQUE event held at Le Pavillion, they had given the press a bird’s eye view of the more exciting TORQUE products next year with more powerful and faster processing Droidz Smartphones. 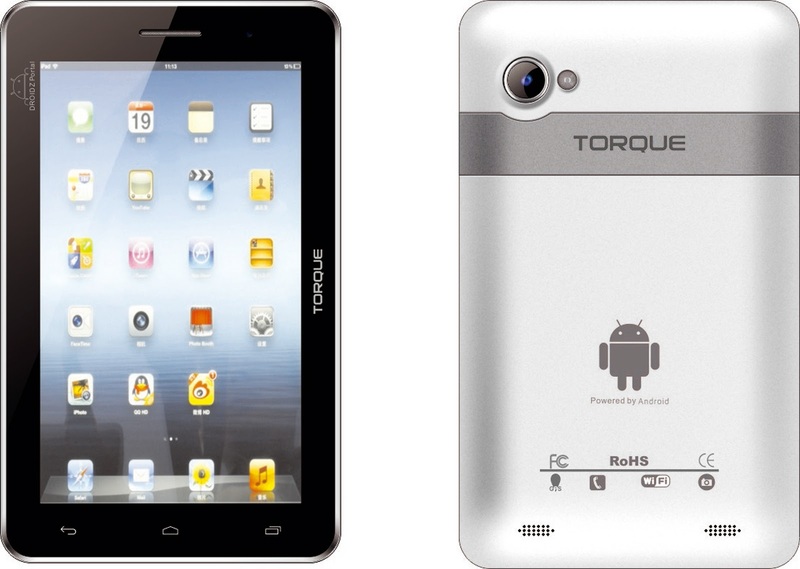 All the series models run at 1GHz Dual Core CPU with 4GB ROM and 512MB RAM. 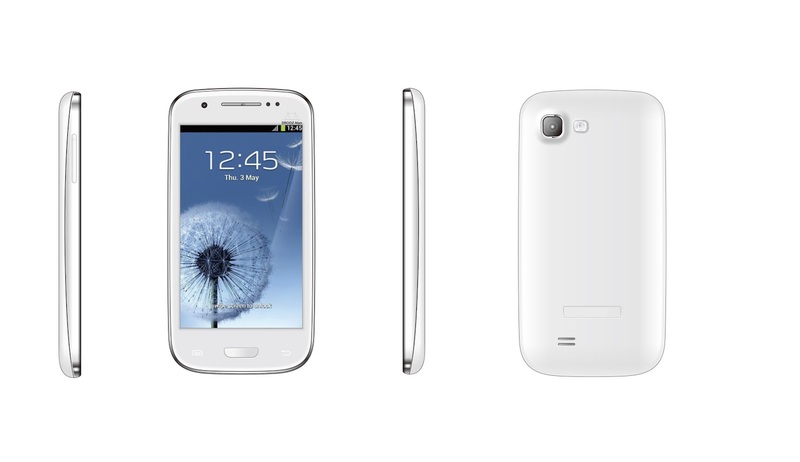 It will also feature the latest Android 4.1 (Jelly Bean) OS, Mini-USB port, Light/Proximity Sensors, global roaming and faster connectivity, 3.5G HSDPA 850/900/1900/2100MHz at DL 7.2 mbps/U: 5.76 Mbps, Quadband GSM/EDGE 850/900/1800/1900 MHz. 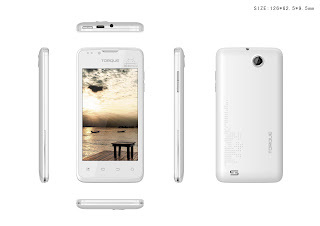 All models support dual cameras with 8MP rear with LED flash and VGA front camera. Other additional features include WiFi/Bluetooth, Wi-Fi Tethering, GPS and AGPS Support. Choose among the series with large display Pinoy Droidz: affordable DROIDZ Atom with 4.0” WVGA 800x480 Capacitive Touch, or DROIDZ Blast with 4.7’qHD 960x540 Capacitive Touch, or DROIDZ Motion with 5.3” qHD 960x540 Capacitive Touch or huge DROIDZ Life with 6.0” FWVGA 854x480 Capacitive Touch. Next year will also be the launch of DROIDZ PORTAL AND DROIDZ ULTIMATE TABLETS. These two models have Call and Text features, JAVA/SMS/MMS capabilities, WiFi, Bluetooth, WiFi Tethering, GPS, and AGPS Support, 3.5 mm stereo headjack, micro USB port, Light/Proximity/Gravity Sensors. 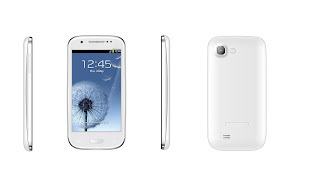 Both also use the latest Android 4.1 (Jelly Bean). Users will be happy to know that it had the speed and bandwidth of HSDPA 7.2 Mbps/ HSUPA 5.76 Mbps and 3.5 HSDPA 850/900/2100MHZ. 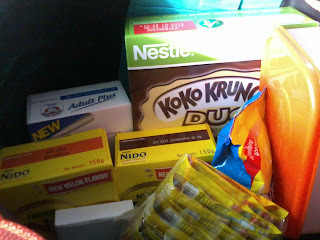 With these amazing products, TORQUE ought to make more quality and value for money products for the Filipino consumers. Next in line will be the exciting “Inspire” series soon. Do watch out for it! 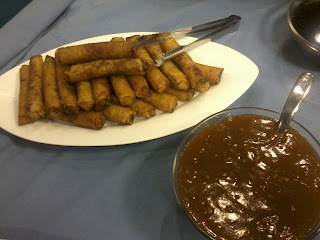 Purple Plum Fairy thanks TORQUE, Ms. Lynda Consigo, Outbound Communications and Mr. Rain De Ocampo. Gracenote Members: EJ Pichay, Eunice Jorge, Jazz Jorge and Chen Pangan. Gracenote--According to Wikipedia, it is a kind of music notation used to denote several kinds of musical instruments. But nowadays, the name rings a bell among the youth and music lovers. 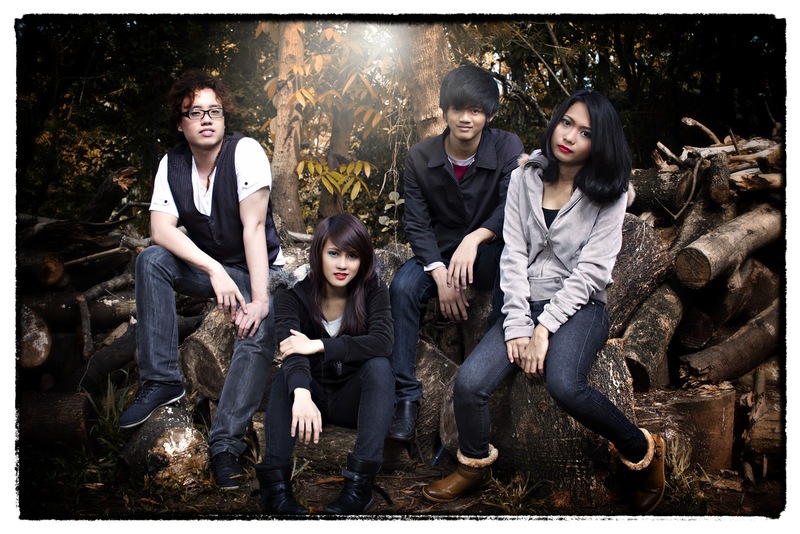 A band named Gracenote had been slowly but surely making waves in the music industry. Composed of young and promising artists, Gracenote is a band made up of St. Scholastica's College of Music grads who first jammed in 2008 at the Nescafe Soundskool. 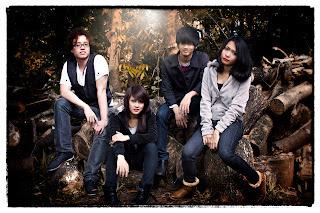 Made up of multi-instrumentalist Eunice Jorge, guitarist Chen Pangan, drummer EJ Pichay and bassist Jazz Jorge. Since then they have been mentored by pop-rockers 6 Cyclemind lead by Rye Sarmiento. The group had developed a steady followers on their social media accounts as the band continue to hone their skills, enthusiasm and onstage presence. 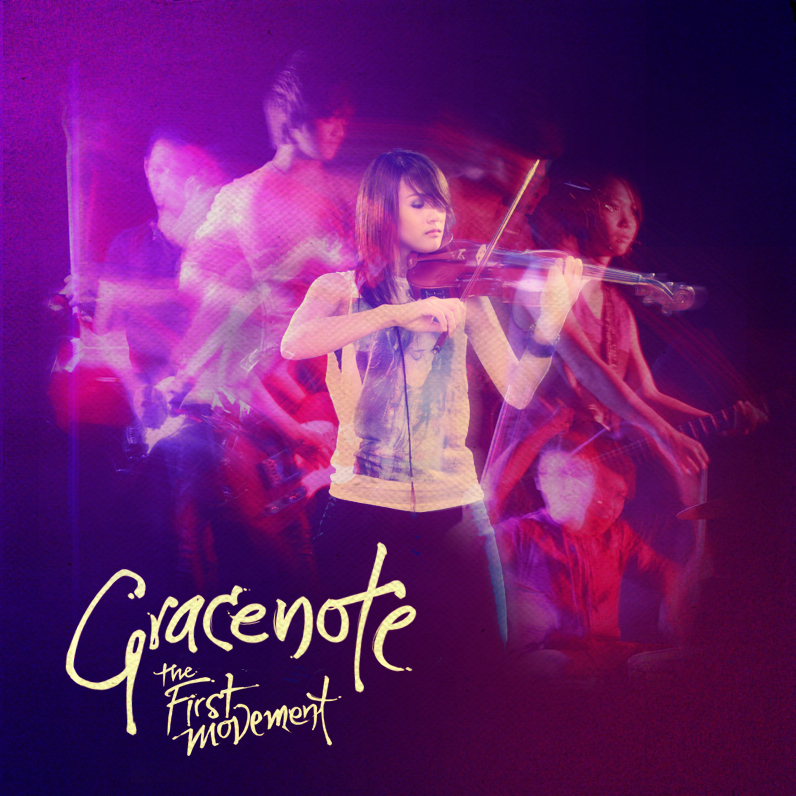 They finally got the recognition they deserved and fortunately, fans no longer need to wait as Gracenote had just recently released their very first album called Gracenote: The First Movement with eight original tracks to boot! The album was recently launched at the 70's Bistro in Anonas and it was well attended by their loyal fans and supporters including Callalily's main man Kean Cipriano, the entire 6Cyclemind band, young actor Janus Del Prado and veteran stage actor/UP Professor Ramon Bautista. Everyone had been so excited with the release of the band's first album. "We were still on cloud nine, "gushes Eunice, Gracenote's vocalist/songwriter and violinist. "Until now, we could not believe how blessed we are to be noticed and given such support.," she adds. 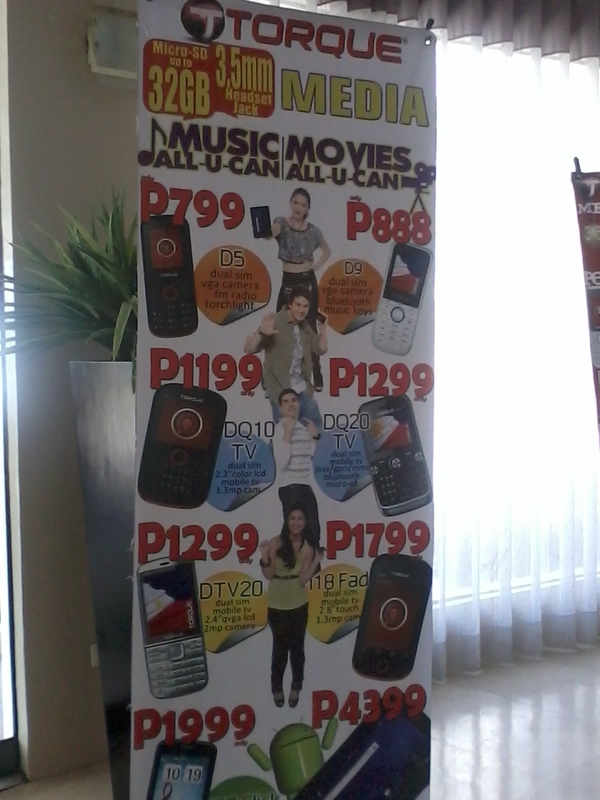 Gracenote also had just emerged as Meg's Top Choice Awards 2012 for Top Newcomer (Music) of the Year. 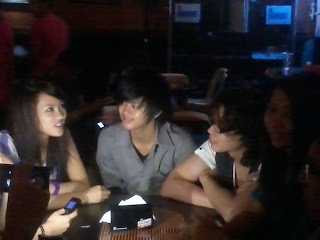 "It's really been a great year for the group, "said Gracenote's guitarist, Chen. "We were ecstatic by the reponse we have received from our family, fans, friends and just about everyone!" Gracenote: The First Movement is released by Soupstar Music and distributed by Universal Records, Gracenote fans around the globe will be happy to know that the said album showcases the group's vocal charm and rocking precision. The cut "Pwede Ako" will surely bring one some LSS (last song syndrome) to you as you listen to Eunice's voice on your headphone. Meanwhile, "Amnesia" is a song made for the heartbroken where the band clearly showed their individual and collective skills. There's also an acoustic version of "Amnesia" giving fans the choice which type of songs to listen to. For that big rock ballad you're looking for, "Faraway" should be the song you need to listen to. 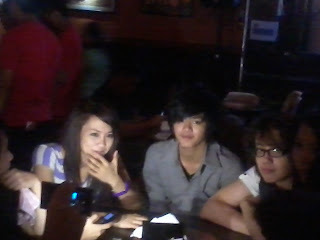 The group GraceNote gamely talked to the press. With such amazing talents, level-headed attitude and the support of loyal fans across the globe, Gracenote had no other way to go but UP! 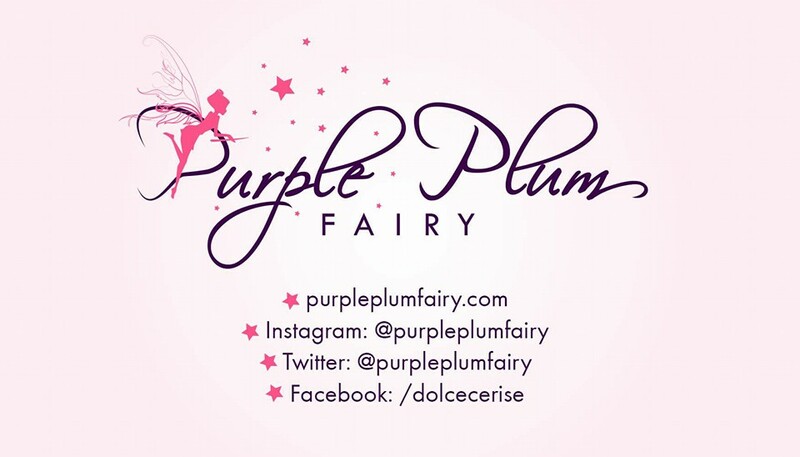 Purple Plum Fairy thanks Gracenote and Corrine Emata for the invite. Max’sRestaurant recently invited selected bloggers to a fun-filled evening as they give bloggers their very own Christmas party as a restaurant’s way of saying thanks for the support bloggers had given to the house where chicken was built. Max’s Restaurant together with Bright Ideas held the search for Bloggers Got Talent. 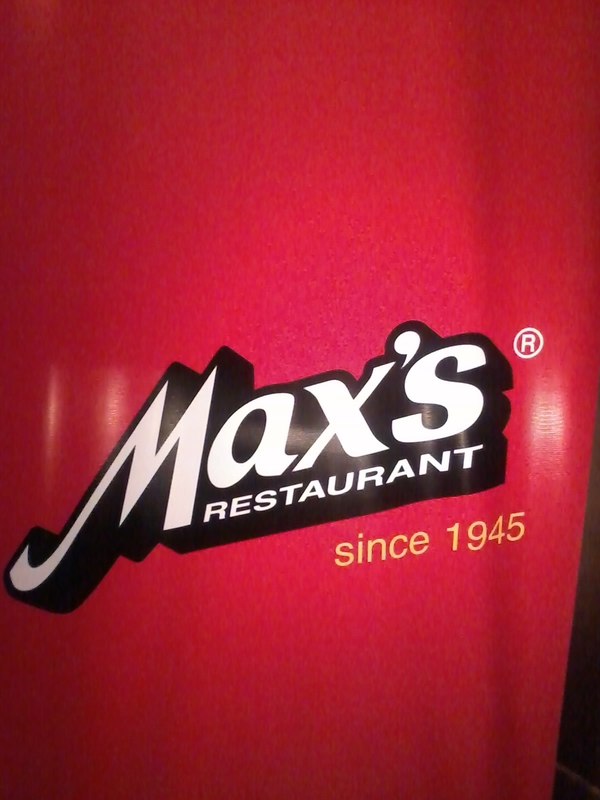 Sumptuous dinner meals consisting of Max’s house favorites like creamy Kare-Kare, sinfully crispy Lechon Kawali, Daing naBangus, Sinigang naHipon, and of course, the famous Max’s house specialty—Sarap-to-the-bones Fried Chicken. 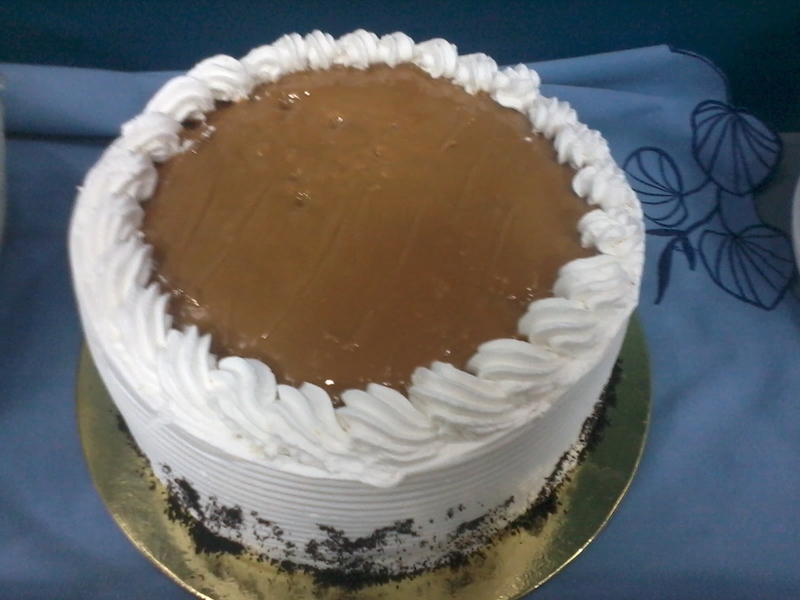 Since it is also the birthday of Alwin Aguirre, he was also given a special surprise by Max’s as staff of their Greenbelt restaurant rendered a Happy Birthday song and gave him one of their coffee flavored cakes from Max’s Corner Bakery. Buko Pandan was also served as desserts. After the dinner, bloggers were then led to Red Box Greenbelt 3 where they had the mini Christmas party as well as the Bloggers Got Talent contest. There were raffle prizes, cocktail and drinks to boot. 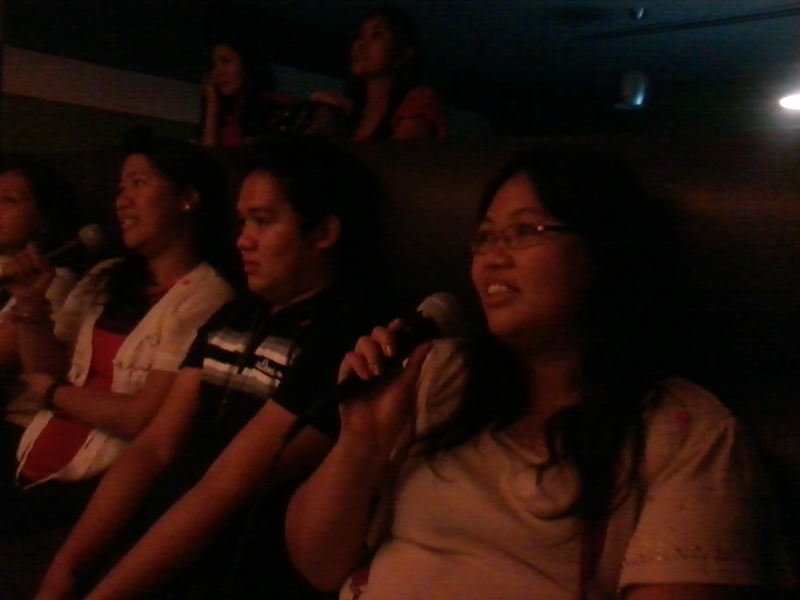 Everyone participated even the non-singers (ehem..alas! I am one of them!) 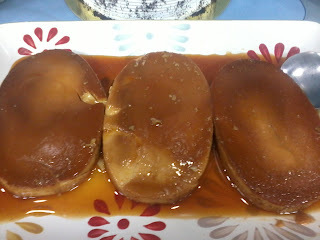 and eventually after the tally of scores from the board of judges, bloggersJing (Champion), runner ups Rain De Ocampo and Jennifer Valmonte emerged as the winners. 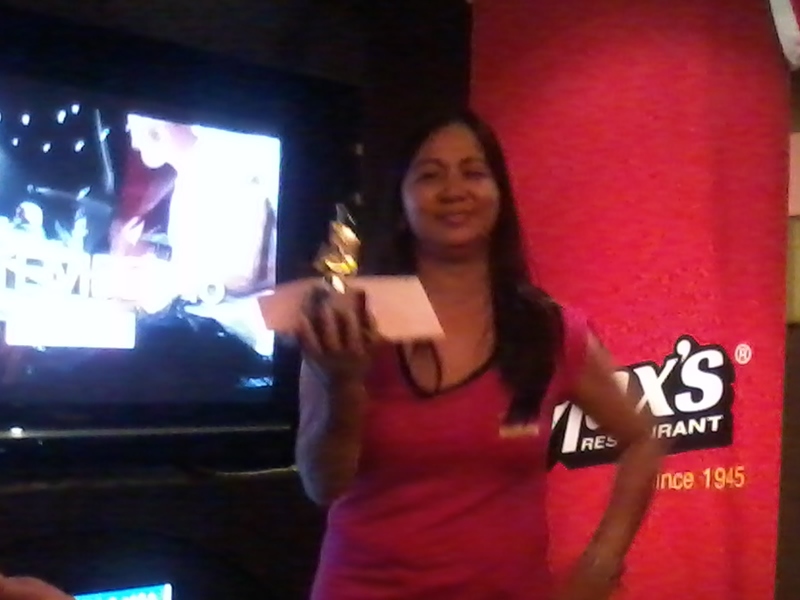 Jing Javier won Php5,000 cash and a mini trophy, Rain and Jen also got cash prizes too! 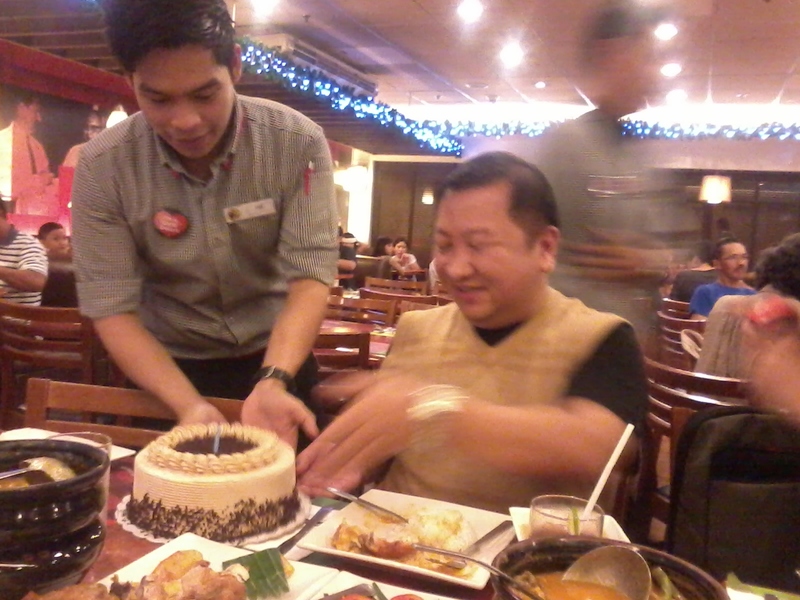 Alwin Aguirre was surprised with a birthday cake and song by the Max's staff. 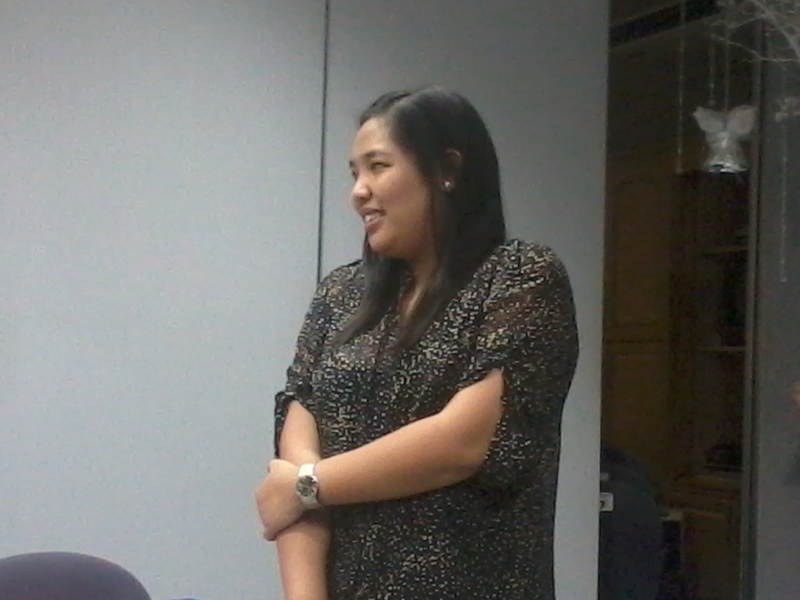 Second Runnerup Jennifer Valmonte belts out a broadway song. Everybody went home happy as everybody received prizes from the raffle, Max’s giveaways (journal + a Christmas pack from Max’s Corner Bakery goodies). 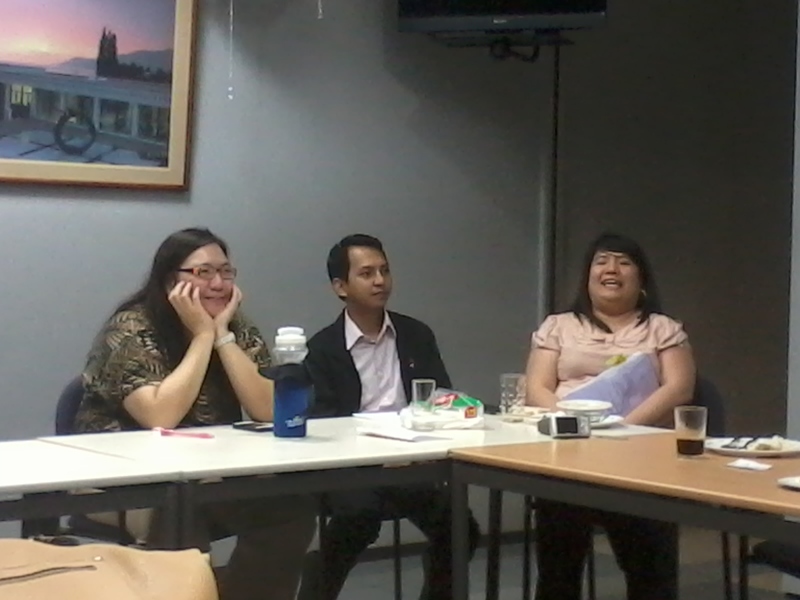 It was indeed a joyous evening for everyone who attended the said event. 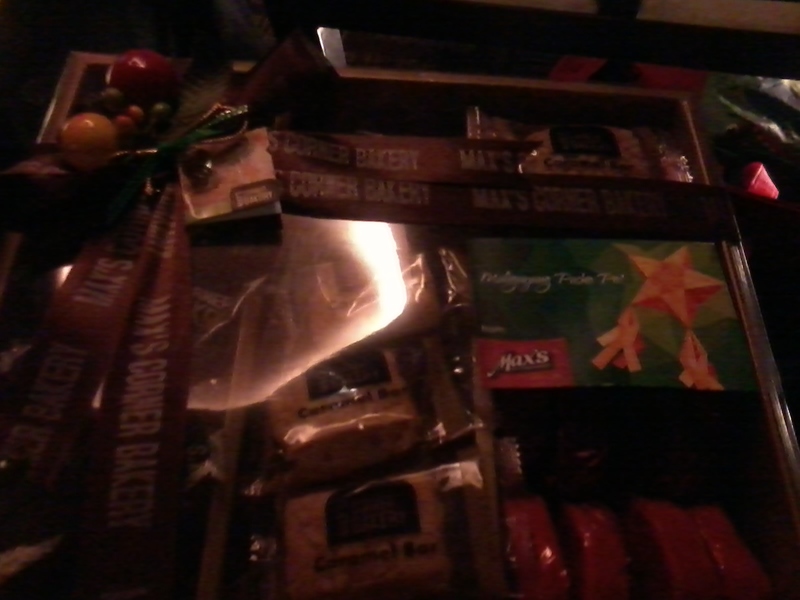 Christmas goodies from Max's Corner Bakery. Merry Christmas Max’s family and Bright Ideas family! We felt truly blessed to be invited by Max’s. 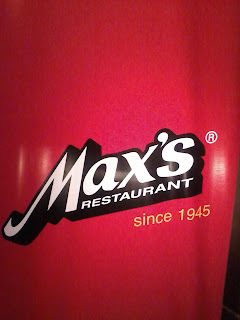 Rest assured that we will always support Max’s. 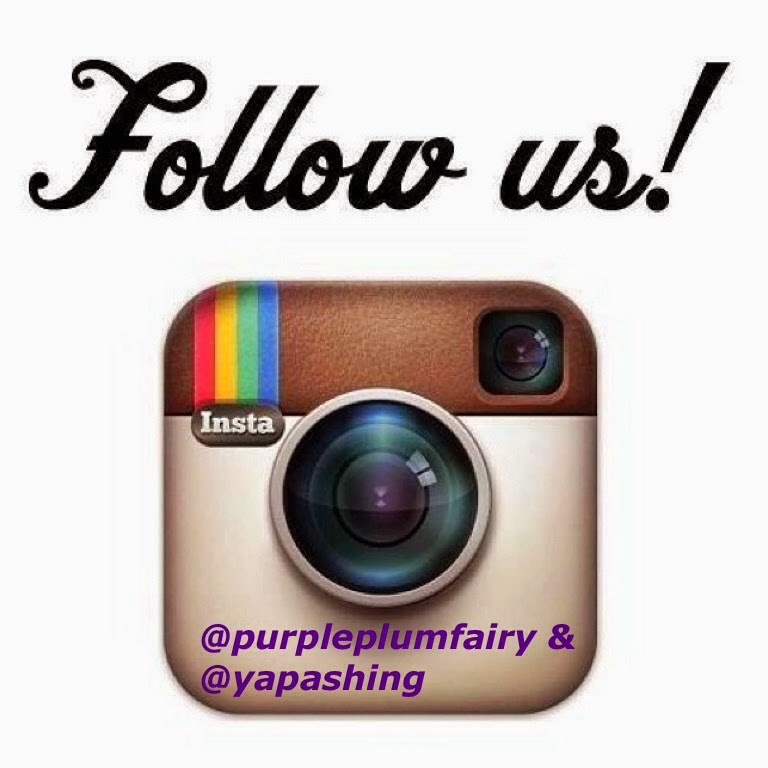 Purple Plum Fairy thanks Max’s Restaurant and Bright Ideas esp. Mr. Bobby Simborio, Ms. Maui Terrado, and Ms. Portia Terrado. We all love to watch television. 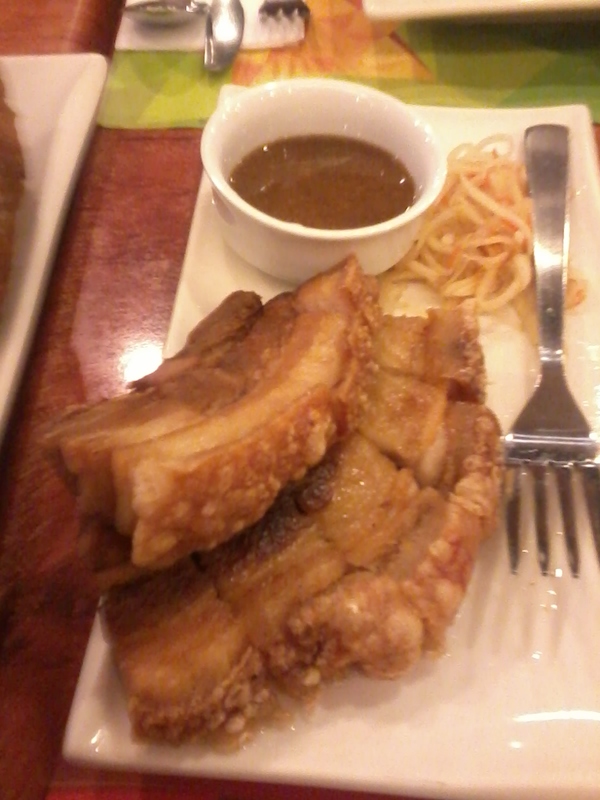 It's always been a favorite past time among Filipinos. Back then, I remember growing up with only five available channels: channels two, four, seven, nine and thirteen. Life had been so easy with only five channels to live with. But time had tremendously changed...Life became more complicated and with so many television channels that we now have, being a couch potato isn't no longer as easy as it had always been. Add it to the fact that there are a whole lot of other things that not only entertain people but affecting their lives as well like the rise of blogs and the influence of social media. Cable channels have also become available, making television shows available 24/7. My favorite TV channel may not be as popular as the two rival channels Two and Seven, but it is slowly making waves on its own. From ABC 5, it had become TV5--the Happy Network! TV5 had its own share of popular shows imitated but never duplicated such as Talentadong Pinoy with Ryan Agoncillo as its host. 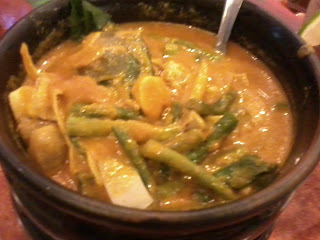 It had given birth to showcase world-class Filipino talents. And it's something that we can all be proud of. I've seen the likes of puppeteer WanLu rise to fame, witnessed how the young Joshua became the word-by-mouth Yoyo Tricker. Talentadong Pinoy is not only entertaining but educational as well. 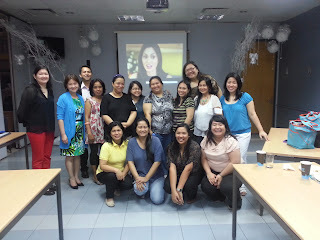 Each contestant also had their own stories to tell where the viewers can all relate to and learn from. As a young child, I remember tuning in to Batibot to listen to stories told by Bodjie Pascua (a veteran stage actor) who was the best storyteller ever! He made all the stories worth listening complete with voice and facial expressions. 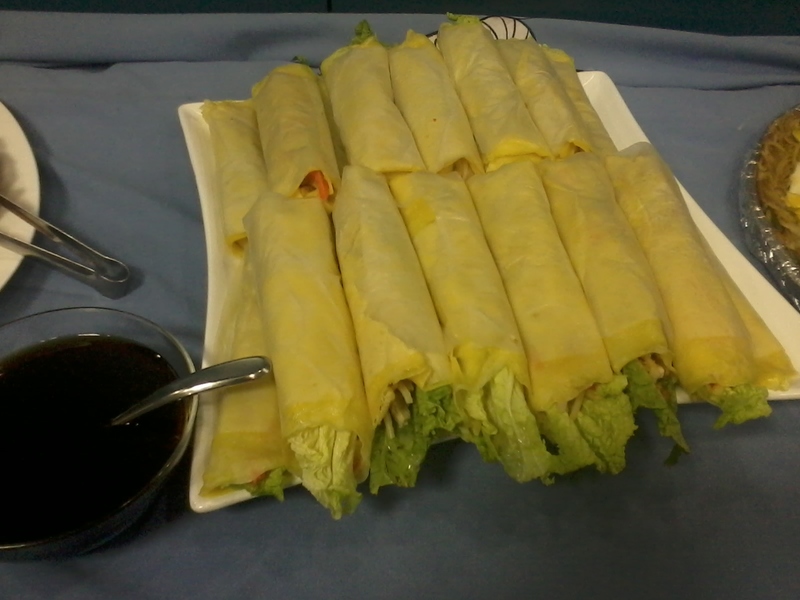 It was really the BEST! He and Batibot made my childhood life more memorable. And with TV5 bringing it back on national television, the new generation will be given the chance to watch the kiddie show that their own parents had grown up to. Shows like Batibot is what the kids need nowadays, it is a lot better than watching cartoons. It's perfect for pre-schoolers. TV5 also have The Amazing Race Philippines with no less than hunky Derek Ramsey as its host. The said show had wonderful trips to the Philippines where it has shown the beauty of our country including the Puerto Princesa Subterranean River--it's included in the new 7th wonder of the world. Let's all admit that not every Filipino has seen the country's 7,107 islands. We're all guilty of traveling to see other countries but I've never met someone who has traveled and seen most of our islands. 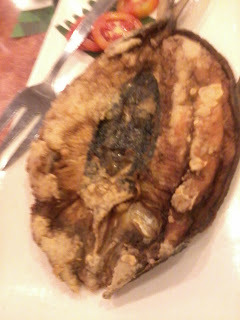 It is really sad that most of us are quite "dayuhan sa sariling bayan" (foreigner in our own country). TV programs such as The Amazing Race Philippines had given us a glimpse of what our country has to offer in terms of travel destination. 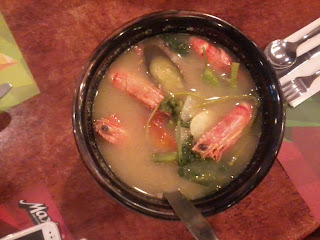 I also like TV5 because of Face to Face. This show is very transparent and I'm sure most viewers can either relate to the stories and topics that are presented because it shows real-life situations faced by individuals each day. The show helps (through the Trio Tagapayo) people in legal and spiritual aspects as well as guiding them how to move on with their lives. And of course, Wil Time Big Time with Mr. Willie Revillame had given hopes and happiness to most Filipinos. I would cry each time a contestant tells his or her life story. And this is the only show in the world where a contestant can divulge his or her feelings/sentiments on air. Mr. Revillame handles the show very well. He delights the audience with his antics and he makes senior citizens feel special and loved. No wonder, they return his attention by showering him with gifts and hugs. My Mom is a huge fan of Mr. Revillame, it was just sad that she's never given the chance to watch his shows live or meet him in person. She's always been his fan...she was supposed to go to that tragic anniversary of Wowowee some years back---it was a good thing I had forbidden her to do so. But she's still hopeful that she will eventually have the chance to meet and watch Mr. Revillame's show and she also wants to have the jacket, sponsors' lootbags, the WilPhone that Mr. Revillame had been giving her fans and perhaps a photo of remembrance. She feels sad that she's always "overage" for the qualification of what the show had been looking for contestants.There have been talks that the show will be replaced with another one in another time slot--I'd say, it doesn't matter. Fans and those who love Mr. Revillame will stay glued to the TV whatever time slot it may be. Rest assured, my Mom will be one of them. TV5 also gave newbies a chance for stardom through Artista Academy. 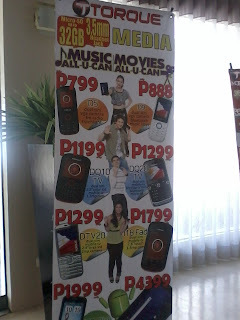 I followed through the show and was glad Sophie Albert and Vin Abrenica won in the end. Other networks may have a lot of talents but they all seemed to be "frozen delights", with no career or any other future plans because they have so many talents. 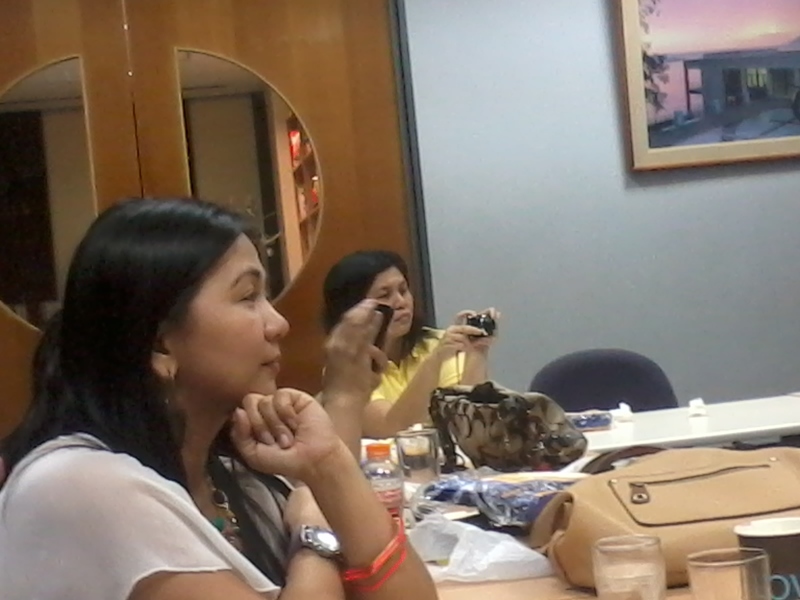 With TV5, these two as well as the other finalists will surely have a spot on TV. With TV5 at the helm, their names will soon become a household word. I am a proud Kapatid. It may not have the brightest star, but it shines on its own merits. Soon, like the Northern Star--it will be followed by everyone.